TheOneSpy — New Edge of the Spy Experience! Employees all over the world confess to using their official electronic equipment for all sorts of purposes they would not like their bosses to find out about. From careless usage resulting in their devices’ short life, to cyber misuse, to sharing corporate secrets with other companies – they do it all. So why are you keeping mum about it? Take action – start spying on them, today! Your company put their faith in you when they put you in charge of your employees. It’s your job to reward their trust by making sure none of the employees working under you are behaving in an unprofessional manner. A part of that, of course, is to ensure they are using their official equipment responsibly and fairly. How can you make sure of that? Until recent times, there was nothing you could do about it. But, now, you can. You can install (software) on their company-given phones and tablets and start spying on them in multiple ways. If they are good, responsible employees – good enough, you should respect them for that and know who deserves the next promotion. If they are not… you know what to do with them. It’s a win-win situation. "Employee monitoring app" allows you to keep track of your employees’ browser history, to check what they use the internet for ( browsing history ), as well as to tap their calls, read their texts (SMS) and use their devices’ microphones to listen to their surroundings – all this to make sure that they are not doing anything fishy. Whether you give them iPhones, iPads, Blackberries or Android Devices – TheOneSpy has got it all covered. Spy on any device with us. Tap their cellphone’s calls, listen to them, intercept them, or record them. Know the caller and receiver of each call, how long each call lasted, and when it took place. Check out their Phone contacts’ complete details, including their cellphone number, landline number, mailing address, email address as well as social media profile details. Look into the photographs stored on their Phone – those they have snapped them from their phone, received from some other device or downloaded from the Internet. Date and time stamp of each is also accessible to you. You can switch between any number of devices with a single license, and not compromise on any device’s data. Monitor them, listen to their calls or track their location simultaneously, too. Monitor their device(s) from any given distance, no matter how large or small. TheOneSpy ensures that wherever they are in the world, they are never beyond your monitoring range. Listen to your target iPhone’s surrounding sounds by operating their microphone, or even record the sounds live, through your TheOneSpy dashboard. Gain access to theiriMessages inbox and read entire threads, complete with the time and date stamp of each message, senders’ or receivers’ identity as well as their phone number. It doesn’t end at viewing your target Phone’s browser history, you can explore further into checking out which pages they have bookmarked or put into the reading list of their Safari. Monitor their Cell Phone’s text messages by reading their entire SMS threads, knowing the identity of the sender and receiver of each text, and checking the date and time stamp of each text. Open up their calendar and reminders section, and find out what they have got planned for each day. Find out with whom they have set appointments and when. Find out exactly where they are in the world through the Global Position System that powers our location tracker. Follow them around on their way and trace out their path. You can switch your license between different platforms or operating systems, on tablets or on phones without purchasing a new license for each device. With TheOneSpy, you never have to pay extra. Your remote monitoring experience does not end there, you can even send commands to their device via SMS. You can send commands to start or stop any app, pause any app, or operate their iPhone’s microphone. Access and monitor their email address: view the emails they have sent or received, their recipient or sender as well as the date and time stamp of each email. Open up their Safari and view whichever webpage they have accessed, when they accessed it, and find out whatever they have done through that particular URL. TheOneSpy also offers the PIN messages monitoring feature with which you can monitor their sent and received PIN messages. This feature is exclusively for people dealing with BlackBerry owners and available with TheOneSpy’s BlackBerry App. You’ve got nothing to lose and only the truth to gain. So why not START TODAY? 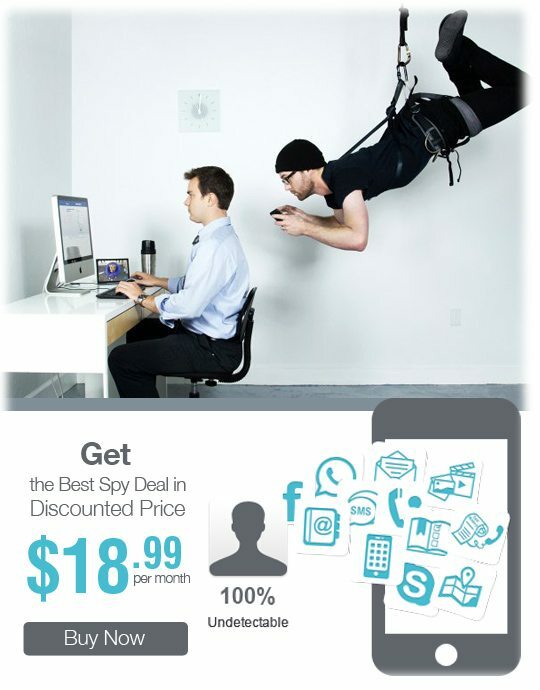 Install any Mobile device with TheOneSpy’s App and start spying on them NOW.